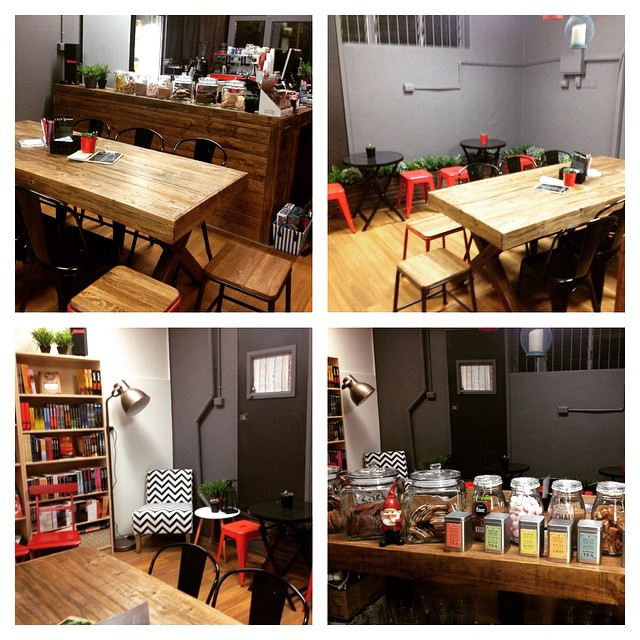 Whether you're thirsty for a good hard read, or something quick and easy, make Wynnum's new Little Gnome book store and coffee shop your destination. 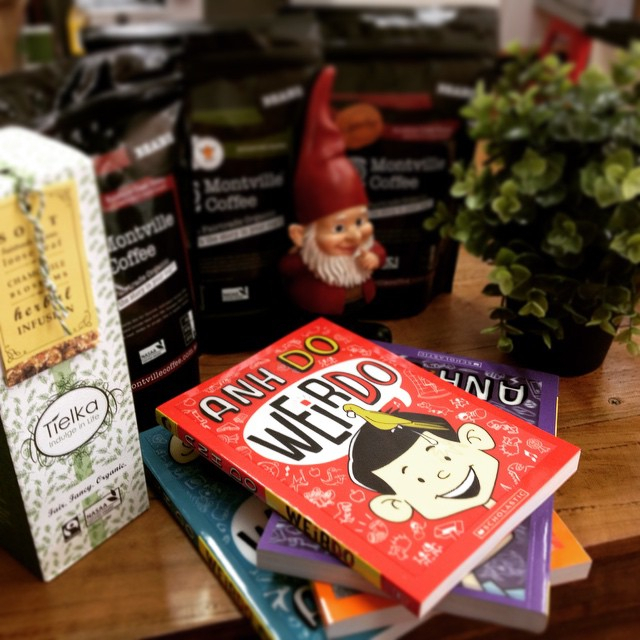 Since the 30th of May, shop mascot Little Gnome's pet humans have been serving up great reads and delicious drinks. I spoke to one of Little Gnome's humans, Bel Ellis about the concept for the store. "I've worked with indie musicians for the past twelve years in Brisbane and I wanted to work in a similar industry - with Indie authors," she confessed, "Wynnum needed something new and fresh, so it was a combination of everything aligning perfectly." 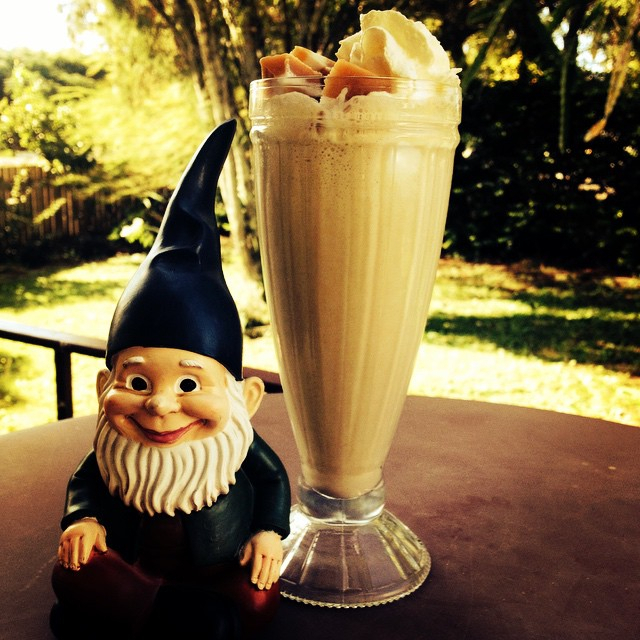 Wynnum's bibliophiles have flocked to Little Gnome like seagulls to hot chips to savour the great books, the best Montville coffee, hot chocolate, Tielka Tea and fancy milkshakes, as well as to snack on banana bread, cookies and chocolates. But if you're planning a visit and want something bigger to eat, you're encouraged to BYO food. "People love it as our shop environment is something so different to what Wynnum has here now," Bel noted, "We get people from office buildings bringing their lunch here, or having group meetings." The amazing milkshakes have been a really big hit with customers. I asked Bel which ones have been the favourites. "It used to be the Nutella, but it's been pipped at the post by our Wynnum What," she observed, "Jack and I make it up on the spot. Sometimes it has choc fudge with Ferrero Rochers, other days it's layer upon layer of all things chocolate and caramel fudge, with cookies and cream or peanut butter brittle," my mouth was watering as she continued, "At present though, the hot chocolates with whipped cream and fudge and any kind of topping are a favourite." As for the coffee, it's one of the best on offer, it's made right here in Queensland, and if you fall in love with it too, you can buy the beans and take them home to enjoy anytime. "I searched everywhere and tasted so many coffees," Bel explained, "This was always the go to coffee. The company are amazing to deal with too. They're not mass produced, so attention to detail is everything for them. 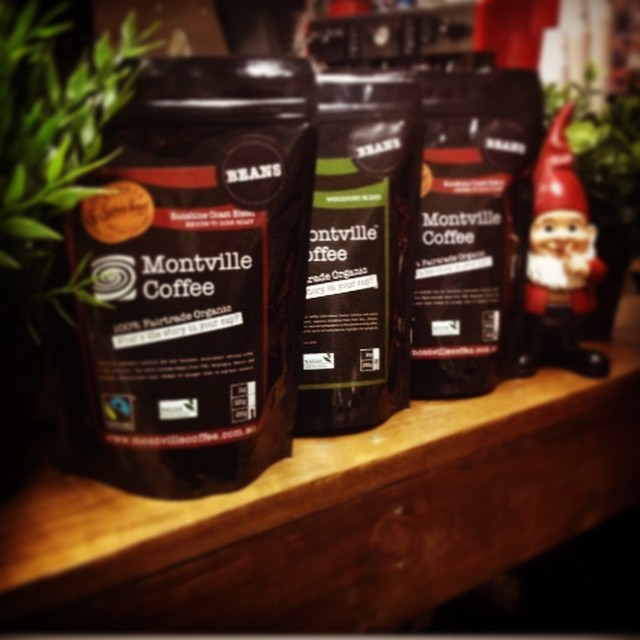 I think there's only four other places in Brisbane that do Montville Coffee, so they're very particular about who they choose. We're pretty chuffed they allowed us to stock it." 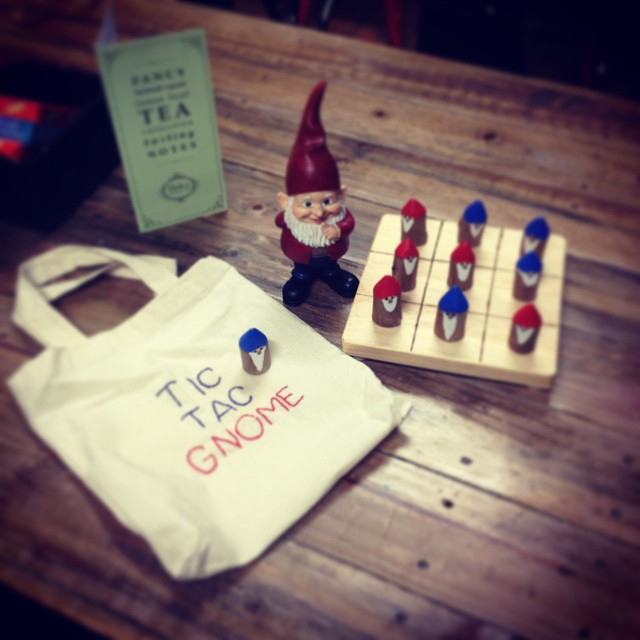 Little Gnome doesn't just offer up tasty treats and drinks to enjoy with your books. On the last Thursday of each month and every Thursday in December, you can also enjoy their 'Meet the Author' events. Bel said, "It's a chance to meet more than one author, from different genres. September is sci-fi and fantasy genres, October is crime and mystery and November is kids' and young adult literature." Little Gnome stocks a range of books, specialising in supporting Australian and self-published authors. They also run workshops in self-publishing and have a monthly book club, with all books chosen being from local authors. If games are more your thing, you'll love the big table full of favourites like scrabble, chess, Connect Four, Uno and more. Plus there are heaps of colouring in books for kids and adults to enjoy. Guests are encouraged to book the big table for groups of eight or more, and you'll be able to access free WIFI on the premises.